PHNOM PENH, July 11, 2014 - The late Cambodian King Sihanouk's remains are marched through streets in Phnom Penh, Cambodia, July 11, 2014. 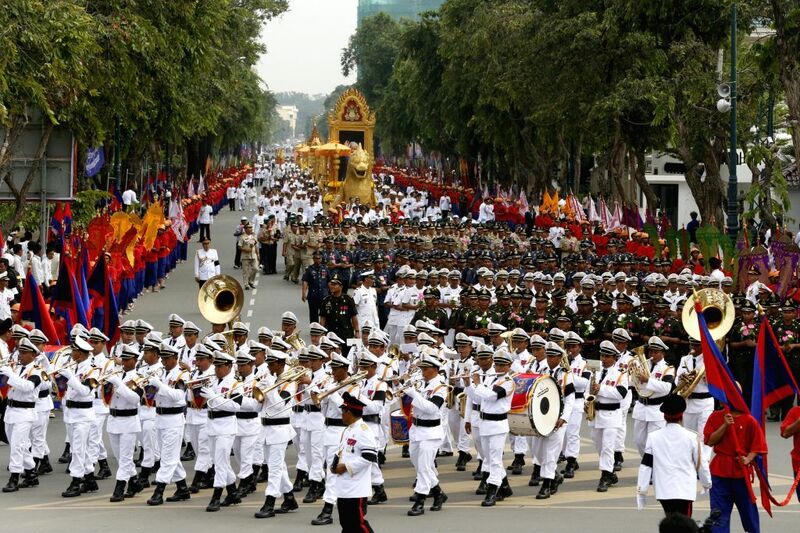 Thousands of people attended a religious procession on Friday morning to enshrine the remains of Cambodia's most revered King Father Norodom Sihanouk, who died of illness in Beijing in 2012. 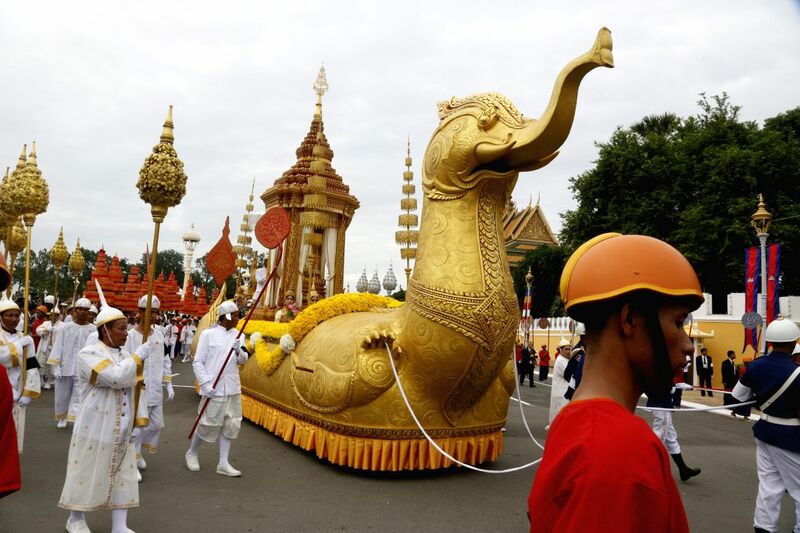 A golden mythological bird-shaped float, carrying 3 urns containing the ashes of late Cambodian King Sihanouk, marches through streets in Phnom Penh, Cambodia, July 11, 2014. 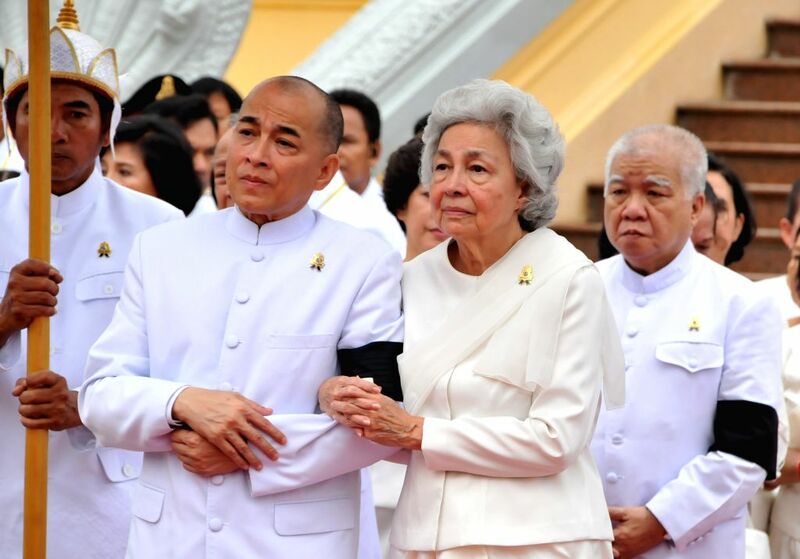 Queen Mother Norodom Monineath (R, front), wife of Cambodia's late King Father Norodom Sihanouk, and her son, current King Norodom Sihamoni (L, front), attend the parade in Phnom Penh, Cambodia, July 11, 2014. 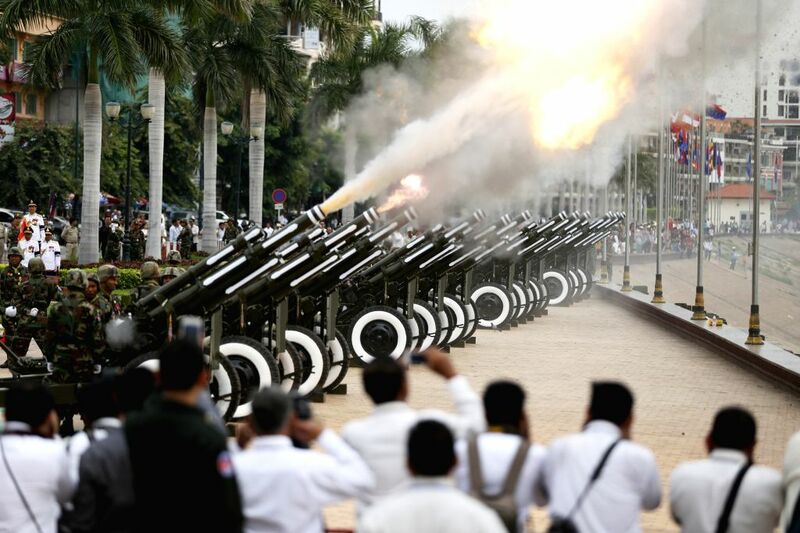 Photo taken on July 11, 2014 shows 101-gun artilleries salute being fired at the riverside in front of the Royal Palace in Phnom Penh, Cambodia.